Posted on 29, January 2016 by EuropaWire PR Editors | This entry was posted in Aviation & Aerospace, France, Government, Transportation & Logistics and tagged Airbus, aircrafts, civil aviation co-operation, Dr. Abbas Ahmad Akhoundi, Fabrice Brégier, Mr Farhad Parvaresh. Bookmark the permalink. 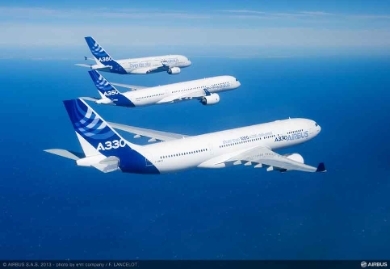 PARIS, 29-Jan-2016 — /EuropaWire/ — Iran officials have signed two agreements with Airbus covering new aircraft orders and a comprehensive civil aviation co-operation package. The agreements were signed at the Élysée Palace, Paris, during Iranian President Hassan Rouhani’s official visit to France with French President François Hollande.